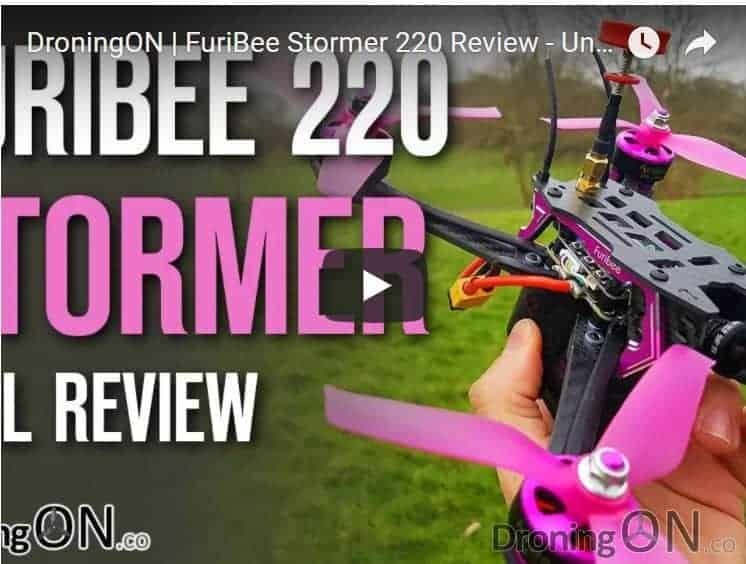 FuriBee are on a roll with new racing quad models arriving by the week, the Stormer 220 is their latest offering, an F4 equipped quad with average power-train but featuring OSD, buzzer and LED strip. 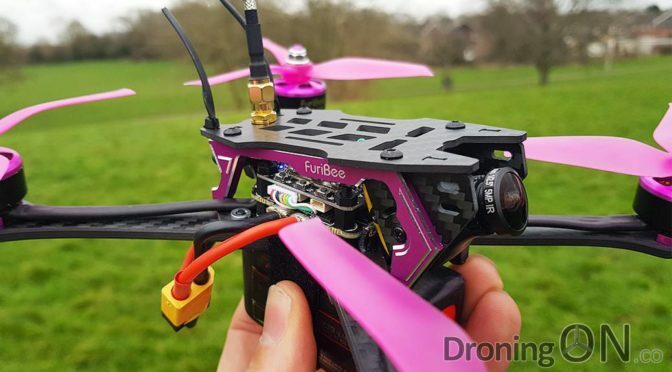 FuriBee racing quads have been a little hit-and-miss recently, plagued with quality control issues and occasional inconsistent technical specification, although generally we have been impressed. The latest racing quad model to arrive from FuriBee, the Stormer 220 – but is it as good as the DarkMax? The latest model is a budget 220-class racing quad with a fairly decent specification, although lacking in the power department with given a 4s, we suspect that it would come to life with a 5s. Ours arrived with the Serial RX misconfigured on UART 6 instead of UART 1, our video review shows the fix on how to solve this. ❍ Includes the brilliant FrSky XM+ receiver. ❍ Well built and feels pretty solid. ❍ Good quality camera and VTX. ❍ Includes F4 flight controller, buzzer and LED strip. ❍ Flies well, very smooth. ❍ Camera tilt mechanism doesn’t secure very well. ❍ No flush-mounted screws on underside. ❍ Side-mounted XT60 is vulnerable. ❍ Not very efficient on flight time. ❍ Insufficient power on a 4S, needs a 5S. ❍ FrSky RX UART misconfiguration on some models. 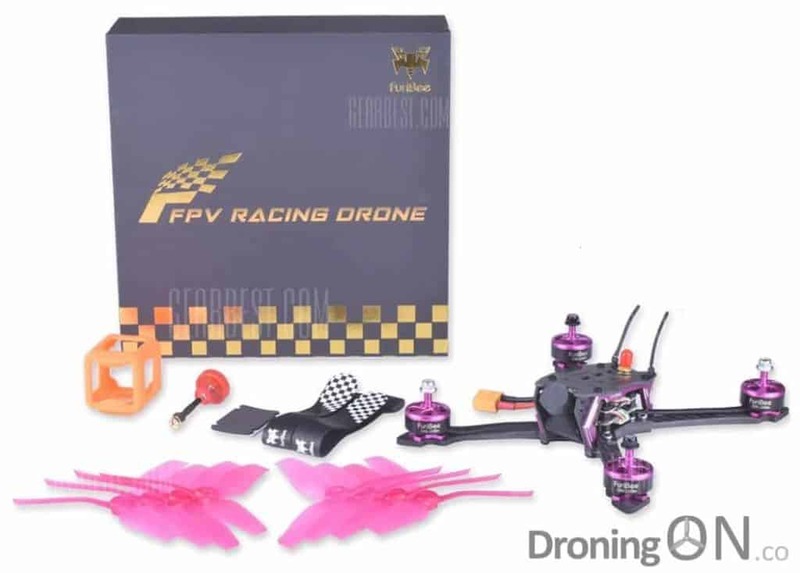 The FuriBee Stormer 220 package, including spare props, pagoda antenna, battery straps and even a rubber action camera case.